We had a fiery start to the Autumn Season with the grim tale of Barbecued Bony Bob and other great presentations. In fact, it was a bit like a new School Term! Looking at the ‘Class of Table 8’ above, one wonders if they knew Bony Bob! Whilst our members are certainly influenced by the Schools’ schedules, we don’t have terms like schools. However, there was a definite sense of excited enthusiasm that reminded me of the return to school after the holidays. Friends caught up with one another, sharing their adventures over the Summer, and visitors were welcomed as part of our ongoing collaborative adventures in business. Our first presentation was from Stephen Sellers, of Grant Sellers Accountants. Stephen said that if we thought GDPR was exciting, we are going to love MTD for VAT! This is ‘Making Tax Digital’ – the latest major shift from the Revenue to help us keep tighter accounts. Every VAT-registered business (with a turnover above £85,000) will have to communicate via functional compatible software to communicate data from your systems to HMRC’s computers – without human intervention! HMRC wants access to your outputs, your time of supply, the value of the supply, and the rate of VAT for all your transactions in any one quarter. This goes live with the first VAT return after 1stApril 2019. Stephen’s concern is that some accountants haven’t yet told their clients about this. The days of Excel, it seems, are limited. Xero, Quickbooks, Sage are the types of accounting software that will be required. This is a huge shift in the administration of how we will communicate with the Revenue. Stephen is, therefore, encouraging business owners to enter into dialogue with their accountants so that this legal requirement is met – and on time. There is a slight buffer – with HMRC giving you up to a year to sort your systems. But why are they even pushing us towards this? Stephen says it is because HMRC doesn’t trust us! They think there are errors creeping into our accountancy processes, and thus they want direct access without the need of a human interface. 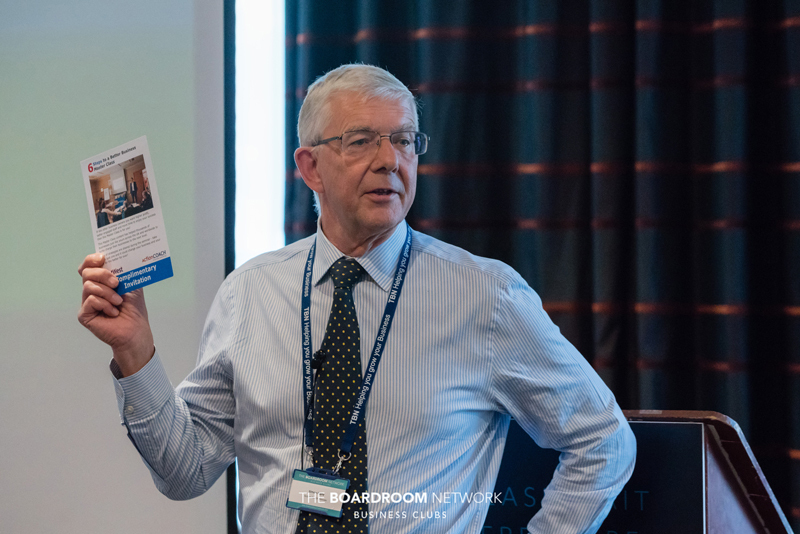 Stephen’s final tongue-in-cheek call to action was to learn to love MTD for business as we grew to love GDPR! “Talk to Tim, Century 21, The Colourful Copier Company,” is how the animated and enthusiastic Tim Adams closed his revealing presentation. I say revealing, in the sense that we really got to know more about Tim and his attitude to salespeople – he doesn’t like them! We can be assured then of no hard-sell or strong-arm techniques if we deal with Tim of any of the team of engineers at the company. With over 30 years’ worth of experience as a photocopier engineer, Tim knows copiers and printers inside and out! He has a mechanical mindset – his Mum saying how he learned how to take things apart until he was 16, and after that, he learned how to put them together again! He likes fixing mechanical things! Tim has 5 children – and 20 pets (2 dogs, with a 3rdbrought home the other week! 4 cats, 4 chickens, a duck, a goose, 2 guinea pigs, a couple of rabbits, and 2 horses!) Tim says this is because he’s completely mad! With a Motorbike and a caravan called, “Florence,” we got a joyful introduction to Tim’s domestic bliss. The key point? Tim seeks to get the work-life balance just right! Century 21 Business Products Ltd is a supply and service support company – with household names like Toshiba, Epson, Brother. Everyone’s needs can be met from sole traders to big organisations like businesses, schools, and churches. Sales, rental, and even loan-for-a-bit are on offer! So there’s never any pressure. Covering Dorset, Hampshire, Wiltshire, and now parts of Devon – this enthusiastic team of engineers have an average 2 hours response time, and with 95% first fix. As Tim says, these machines are business critical, so when the machines stop, the business stops. When equipment goes wrong, most salespeople want to avoid you, even though they were all over you when you walked in with money. By way of strong contrast, Tim is with you through the whole life of the supplied equipment. As far as sales go, it’s never the last one, and prices don’t go up at midnight! You don’t even get tied into punitive contracts. Tim will only supply what he believes is in our best interest! 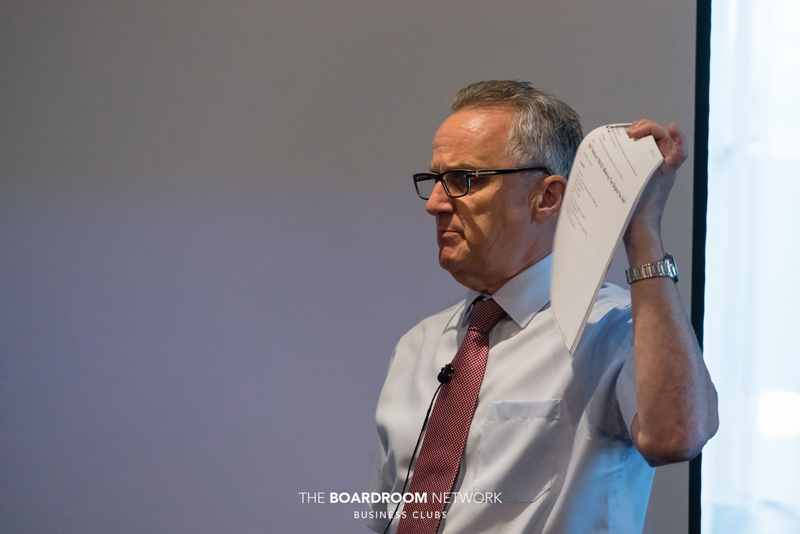 What was clear from the two first presentations from Stephen and then Tim is that The Boardroom Network really is about getting to know, like, and thus trust our well-established members. Whilst I’ve always enjoyed connecting with these two members, I now feel I know them better and have warmed even more to them. Who ya gonna call? Demonstrating the power of opportunity provided through networking, Anita Potten, of the Southern Sustainability Partnership Ltd, shared how members could get a stand at the Big Green Event exhibition at a reduced price because of a late dropout. This was an important display of the value of belonging to the network as Jacqui and Jay were ready, willing, and able to support Anita at such short notice. I would suggest this is a call to action for all members – we don’t know what you need and how we can help unless you ask! 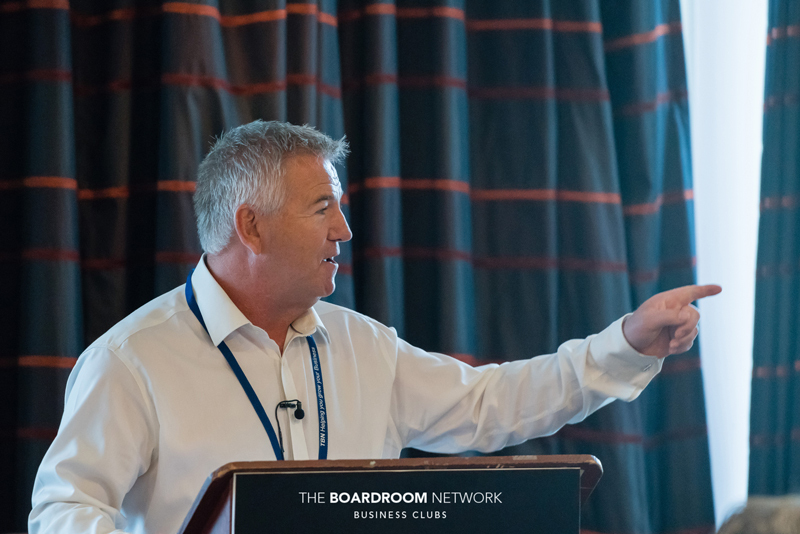 Simon Rigby was next up with an encouragement to attend, free of charge, his masterclass, “Six Steps to a Better Business.” This is being held in Ringwood at the end of this month. It’s jam-packed with strategies that you and I can implement in our businesses. Highly recommended by members who have attended in the past, this is a great way to jump-start the Autumn season. 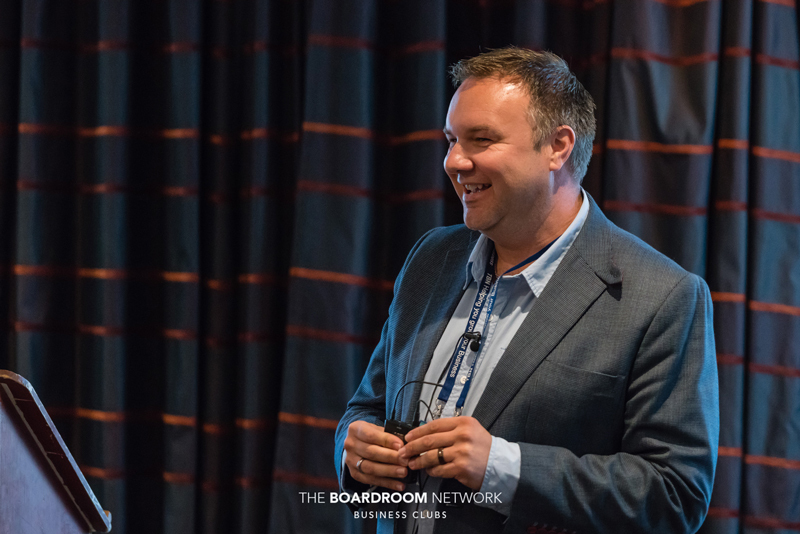 Simon guarantees that you’ll take away one strategy that you can implement in your business that afternoon that will make a difference to your business. Simon also says that if you only make one difference to your business every week, imagine what your business would look like! Michael Collins shared the grim tale of “Bony Bob” – a petty villain from the Old Kent Road. Definitely not a politically correct tale, nor for the faint of heart, Michael once again held us spellbound. [I’ve provided a private YouTube link to this one – please review and enjoy but don’t share! This link is ‘unlisted’ so it can’t be found through searching YouTube! Bony Bob was shot 12 times with a gun – resulting in the worst forensic cover-up Michael had ever seen! Oh, the joys of Magnolia-coloured paint and a paint-roller from B&Q! With Bob in bits – 15 bits to be precise, the brothers who slew him sought to burn the evidence through a contact at the civic incinerator – a project turning household waste into energy. Household waste burns at 1000 degrees, but 2000 degrees is necessary for burning the bony evidence! Realising the failure of this plan, the brothers grim then thought again and disposed of the barbecued Bob bits in the waste – sent off to a landfill at Avery in Essex. Michael and his team had to go to the landfill site for three to four days to uncover the evidence. In spite of Michael’s skepticism, the results were successful – and the brothers were convicted of murder. After a story that gripped our attention, Michael delivered his key points for business. Firstly, he said that stories are very powerful. Michael shared specifically how this was brought home to him at a networking meeting. The first chap answered the question, “What do you do?” by saying, almost apologetically, that he sold insurance. The next guy also was in insurance too, but he said, “I sell insurance because I was climbing, I fell, I busted my leg, and the cover I had wasn’t worth anything. So, I started a business that offers the correct cover.” Which of these two would you do business with? Who are you going to remember? Secondly, have a plan. Michael had a plan for his own business that wasn’t backed up by a secondary plan in case ‘Plan A’ failed. It did. Similarly, the brothers who murdered Bony Bob in Michael’s story didn’t have a very good plan! Thirdly, your jobs may stink at times and have aspects that you really hate! Michael expanded on the Bony Bob story by asking us to compare our own stinky challenges with the time he had to walk through South London carrying the body of a dead pig. This was to test how the incinerator treated biological remains – pigs being similar to humans! You can guess the kind of comments Michael attracted from the locals! 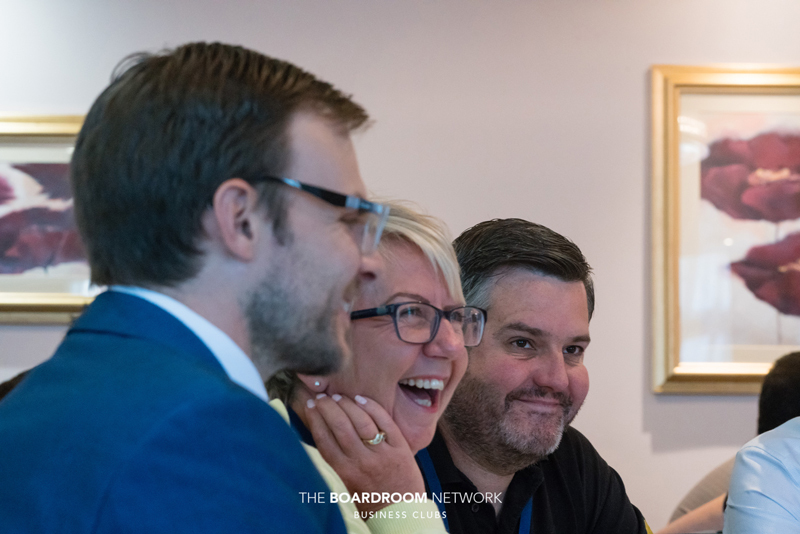 So, if you think your job stinks, think again and ask, “Compared to what?” Thanks, Michael, for helping us learn while laughing… albeit at the expense of Bony Bob and the Brothers! 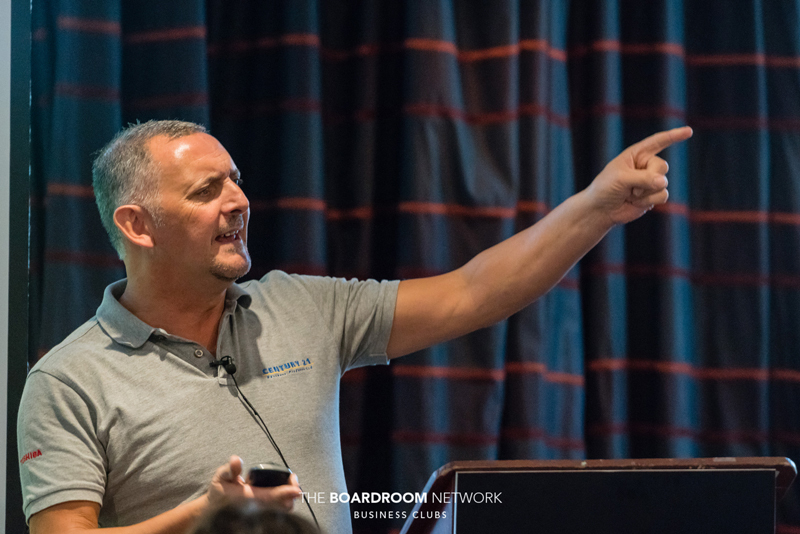 Finally, Darren Northeast, of Darren Northeast PR shared a testimonial about significant new business that could be attributed directly to the connections made via TBN. Thanks to Kit Fanner’s recommendation, Darren and his team have picked up a PR contract for £24,000 for the year. The initial work was a successful awards’ application. The client so enjoyed working with Darren and the team that they asked what else Darren Northeast PR could do for them. The result is this revolving contract. Darren thanked Jacqui and the team for making this possible. What a great start to our Autumn season! 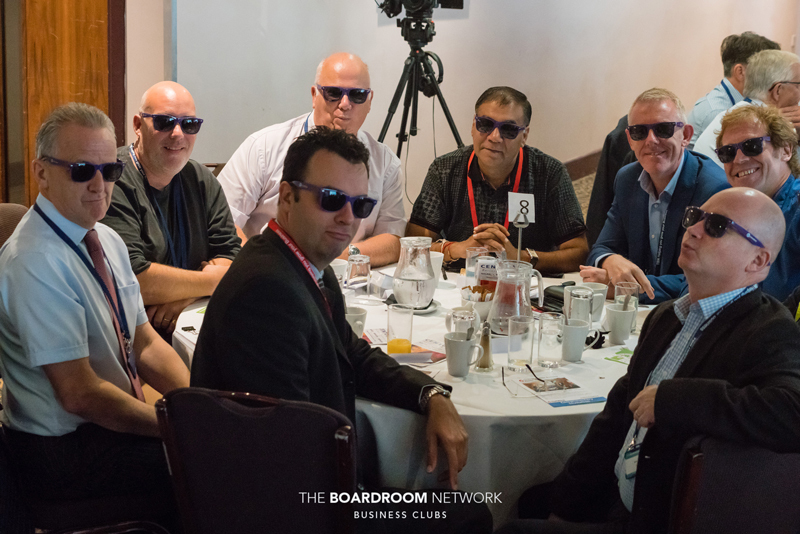 If you have any testimonials of how The Boardroom Network has opened up new business for you, we’d love to hear them! Who could you connect up to a significant business opportunity? We’re all about connection, collaboration, and communication, so let’s make the magic happen this Autumn.